Brampton Roof Contractors | Smart RoofingSmart Roofing Inc.
Smart Roofing Inc. has been a trusted and reliable roofing company serving the Brampton area for over 15 years. We provide proof of our liability insurance and Worker’s Compensation (WSIB) insurance. We have a 6 truck fleet manned by 5 trained and experienced roofers, and we don’t use sub-contractors. 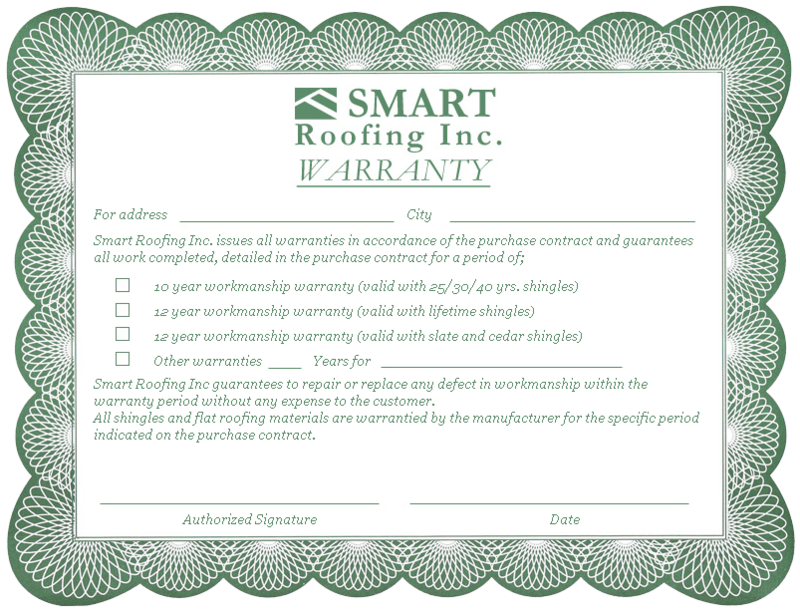 Smart Roofing Inc has worked hard to earn our great reputation. Read some of what our customers in Brampton have said about the roof repair and roof replacement jobs we’ve done for them. I would highly recommend Smart Roofing. They did a great job and were very friendly. Two years ago I began contacting companies for quotations. I did so with great trepidation because I know there are really no regulations when it comes to this kind of work. Anyone can call himself a roofer and without doing your homework you can be throwing your money away. Some of the companies I contacted didn’t even give me the courtesy of a response, while others did provide me with a quote. Smart Roofing, on the other hand, told me my roof didn’t need to be replaced yet, as it was good for another couple of years. I was very impressed with Jerry’s honesty. I emailed Smart Roofing again this year and was impressed from the time of my initial contact with Darlene, to the completion of the roof. Wes and his team did a superb job and also took great care to protect my garden. They cleaned up my property as if it were their own. All in all, I had the perfect customer experience from start to finish and would highly recommend Smart Roofing to everyone. We were extremely satisfied with Smart Roofing from the estimator to the workers to the inspector who came when the work was finished. They were very professional, great customer service and did an excellent job on our roof. They showed up when they said they were going to and knew what they were doing. I would highly recommend Smart Roofing to anyone! 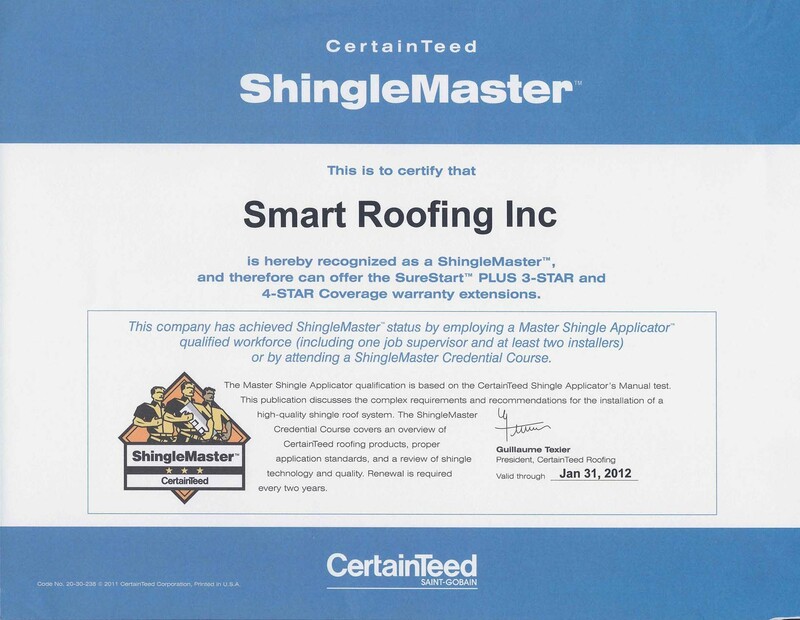 We had some damaged shingles that needed repairing so we called Smart Roofing Inc. They did the job quickly and well, they even cleared our roof of leaves for free! Happy Customer. 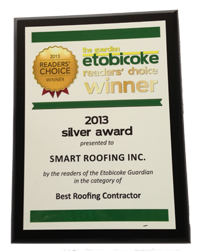 About 2 months ago I had my roof done from Smart Roofing and it was the best choice I ever made. The staff and crew were very courteous and proessional. My roof never looked so good and I am very pleased with the results. Would recommend using Smart Roofing. Contacted a bunch of roofing companies for an estimate and Mario provided a really competitive quote and was very responsive to all my questions and explained everything very clearly. I was contacted a few days before the scheduled job to let me know the details of the day. The roofers arrived on time and was very professional and did a great job. My roof looks awesome and i am extremely happy with the job.